Michigan experienced some snowfall this week and the white stuff kept f alling on Wednesday, the day of Grandma's birthday. As a special treat, Grandma accompanied Cameron and Jane to a swimming group with some of Cam's classmates. The pool was toasty warm and all the kids enjoyed playing together in the water and making some new friends. Activities continued by exercising the mind with outings to the library to refresh reading options and log some computer time. 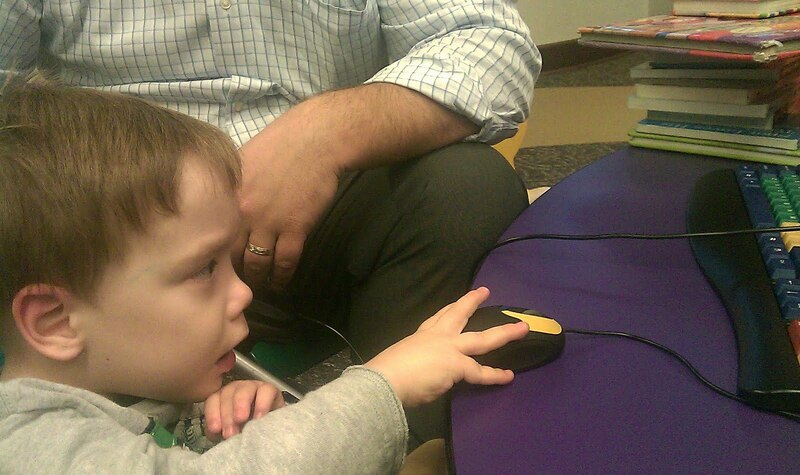 Cam definitely enjoyed moving that mouse around. 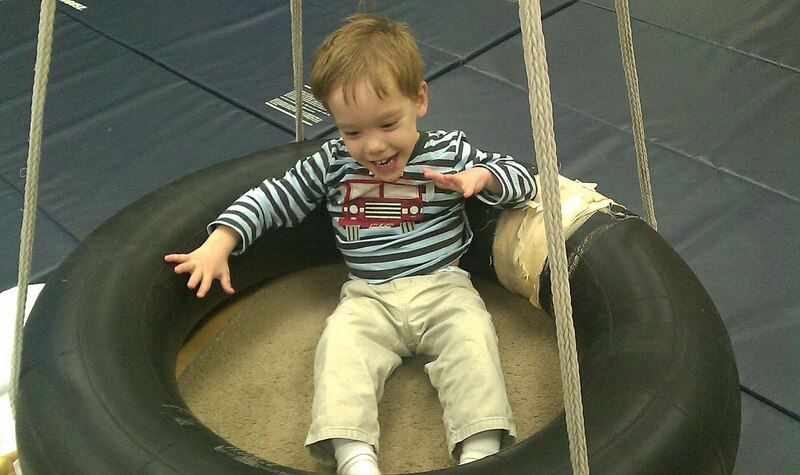 The tire swing at therapy provided balance practice and a few giggles. On a weekly basis, Sarah hangs out with Cameron at least one evening and continues different forms of exercise. Besides stretching and strengthening, they also play with Mr. Potato Head, listen and dance to music, and sometimes partake in a fun photo shoot!